When Cars.com's Bill Jackson described the Cadillac XT5 as "more composed than the Lexus RX 350, but lighter and more fun than the Mercedes-Benz GLE-Class," he really hit the nail on the head. The XT5 has done more than just fill a hole in our line-up. But while it may have almost the exact same dimensions as the outgoing SRX (although your backseat passengers will appreciate two inches of extra legroom), this vehicle has been so completely redesigned that many critics are hesitant to even compare the two and are considering the XT5 to practically be in a class of its own. We happen to agree. 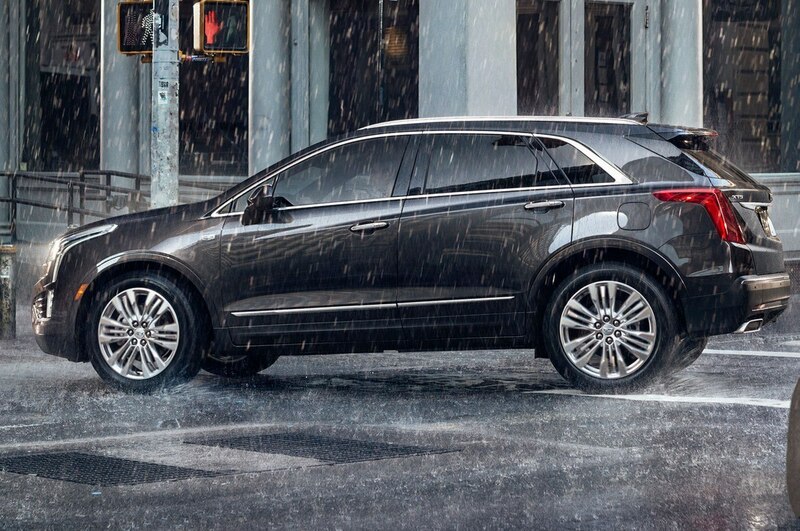 With its bold, brand new design, the XT5 turns heads whether you're driving downtown or making good use of its premium all-wheel-drive option off-road. We're excited at the prospect of welcoming you into our now-growing XT5 family, which is why we are outlining some of its finest features and victories below. Revolutionary engineering has significantly reduced the number of parts used in the production of the XT5, which has also put it at an extremely low weight—under 4000lbs for the FWD model. With a smoother ride than just about any other vehicle on the road and a brand new 310-horsepower, 3.6L V6 engine, our newest Cadillac achieves an impressive 12.9L/100km in the city and 8.9L/100km on the highway. With power, performance, and mileage all considered at once, we are confident that the XT5 is the most balanced premium Crossover you'll find today. 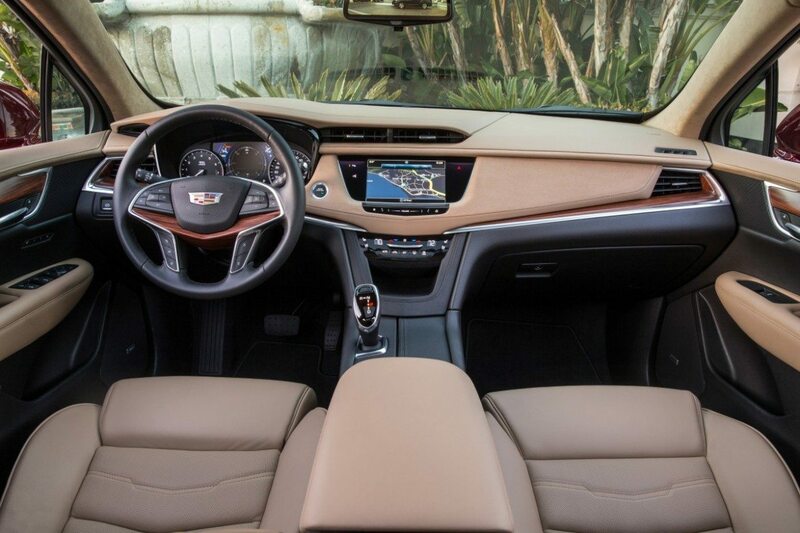 Meticulously styled, the XT5's interior leaves no stone unturned. With the move to an electric shifter, our engineers realized they could add additional storage to the right of the gearshift. You can now fit a handbag or other fair-sized objects in this new storage bin, which compliments the large centre console. The dash moves like free-flowing leaves: naturally, beautifully, and without disruption as it incorporates your HUD, CUE system, and Driver Information Centre all in one. Your passengers are afforded great space and an exclusive view of XT5's style as they enjoy the second-best seat in the house. Indeed, Cadillac has paid attention to the minutiae as well. With impressive features like Surround Vision, which projects a bird's eye view of your XT5 on your CUE display screen, and a rearview streaming camera that gives you a better-than-ever view of what's behind you right on your mirror, to say that every single detail has been considered would be an understatement. We haven't even detailed Cadillac CUE, which now features Apple CarPlay and Android Auto, or Bluetooth phone and audio streaming, or tri-zone climate control. These are features that you understandably expect from a Cadillac, and now Surround Vision and the rearview streaming camera will join this array of features that consumers can expect from Cadillacs going forward. Cadillac's engineers have laboured tirelessly over what our consumers expect from a Cadillac. They understand that your expectation when you set foot in any Cadillac is to be completely impressed, and so do we here at Ontario Motor Sales. That's why we're stocked with several 2017 XT5s, all of which are new on our lot.